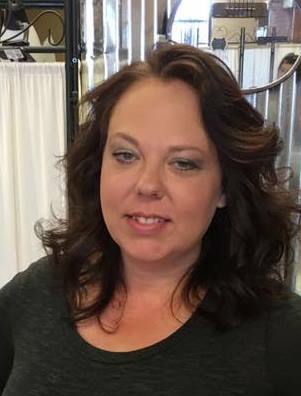 Melanie L. Crow- Age 38, passed away unexpectedly and senselessly on Sunday, September 24, 2017, while attending Burnette Chapel Church of Christ. She is survived by her children, Royce Smith, Jr. and Breanna Smith; father, James Crow, and mother, Sheila Crow; sister, Bridget (Ronnie) Polson; grandparents, J.R. and Linda Williams, and Jane Clifford. A Celebration of Melanie’s life will be on Thursday, September 28, 2017, at 12:00pm, at West Harpeth Funeral Home. Interment will follow at Harpeth Hills Memory Gardens. Visitation will be on Wednesday from 1:00pm until 8:00pm, and on Thursday from 9:00am until the service time at 12:00pm at West Harpeth Funeral Home. I am so sorry to hear of Melanie’s death and I want to express my most sincere sympathies to you and the family during this difficult time. Melanie was a highly valuable and respected member of the ChanceLight team and the effects of her passing are already being felt here by all of her coworkers. Melanie was a wonderful employee who understood the meaning of the word “team.” She was always more focused on the good of the company and the CBO department than on her own benefit. She made many great contributions to the company and helped it move forward in numerous ways. Her work here will not soon be forgotten. Please accept my sincere condolences for you and the family. Melanie was a remarkable woman and everyone at ChanceLight is better for having known her. For those of us that had the privilege of calling her “friend” outside of work, we were humbled by her kindness and compassion to everyone around her. She will be greatly missed and everyone here is saddened by her death. Know that our thoughts and prayers are with you, your family, and friends during this difficult time. James, my prayers are with you and your family. May God comfort you thru these times. There are few words I could give to console you. I first met Melanie when she was a child when I worked with her dear mom at Park View Medical Center. My heart goes out to you all, and I am so incredibly sorry. I pray for justice in this senseless tragedy, and I pray God drapes you all with His comfort as only He can give. Much love and my deepest sympathy. I’m so sorry about Melanie. I am praying that God will give strength to RJ and Breanna and the family. This should never happen at anytime but especially while attending Church. May God be with all you is my prayer. We are sorry to hear of Melanie’s untimely death. She was a very loving and kind-hearted woman. She loved everyone regardless of their imperfections. Her heart was filled with joy and her smile could light a room. She was a great mother and loved her children dearly. We are praying for healing and uplifted spirits as Melanie’s family and friends do their best to cope with such a tragic loss. We hope that you accept our condolences. Melanie will truly be missed. Melanie would always put others first and loved all of us just as we are, but what I remember most is how she loved her children more than anything. Everyone who knew her knows how much she enjoyed cooking and the awesome dishes she used to fix. Knowing that cooking is not something that I can do well, she would give me ideas, encouragement, and advice on how to create something new for my family. One day I asked her if she ever got tired of cooking the way she did every night. She looked at me and said “No”. She said it was one of the ways she showed her family how much she loved them. Melanie will always live on through her children but she will be greatly missed by many here on earth. Praying that her family feels God’s arms wrapped around them in comfort during this time and in the days ahead. Sadly missed by all former coworkers and friends at HCA. Praying for peace for your family. I worked side by side as cubicle mates with Melanie for 2 years at Pasi. We had many long talks about life, the good, the bad, the happy, and the sad.. She was a precious soul who felt the need to always place others before herself. Her love for her children was known by anyone who met her. Melanie, thanks for the laughs, the tears, the sharing of your leftovers but most importantly your friendship. I will miss our late night conversations. I love you my precious friend. Rest Easy. May your children and family find peace in knowing you are safe in the presence of our Lord and Savior. I did not know Melanie but my heart is broken from her senseless passing. Please know that I am praying for all her family and church family. I pray love and comfort and healing on the family. Words can’t express how deeply sorry I am for your tremendous loss. I worked with Melanie just a short time at ChanceLight, Inc but I know she loved the Lord and her children with all her heart. I know we in the Central Billing Office will miss her terribly! This is such an unthinkable tragedy but we can take comfort in knowing she is resting in the arms of our Lord and Savior until He returns. Rest In Peace Melanie. I offer my sincerest condolences to Family and friends as we mourn the loss of such a lovely person! Thank you not only for being my amazing neighbor at Chancelight but a remarkable, loving and caring friend. I was so excited when I helped you move desks because we were closer and could just stand up and see each other. Your love for Jesus Christ shined through your eyes when we would take about him on breaks and lunches. How your life has changed with God by your side and inviting me to join you in worship at church. Im so sorry I never went. Breanna I haven’t met you yet but I feel like I already know you through your mom. She loved you both more than words can describe. She is so proud of you and your determination. My sincere condolences to you both. I will be praying for the whole family. God bless you all and know I will do anything I can to help. We are so saddened to hear about Melanie’s death at the hands of a gunman at Burnette Chapel Church of Christ. God bless your family and friends during this difficult time. Prayers for everyone. I am so sorry this has happened Melanie was a wonderful person and every memory I have of Melanie is one full of laughter and her bright smile! I am so sorry and my heart hurts for you and the family. Prayers for peace and healing . So very very sorry for your loss. May you feel comforted by all the wonderful memories and the peace only available by our Heavenly Father. So senseless and way too soon, again so very sorry. Prayers prayers and more prayers for all family and friends. My condolences to the family. May the Lord,be with the family during this time of mourning. I am sending my sincere sympathies from here in south Georgia. I didn’t know Melanie, but I am so sorry for her family and friends loss. Knowing that our sweet Lord will wrap you all in his loving grace and help you through these trying times. Please know that my thoughts and prayers are there with y’all !! She was wonderful granddaughter we all loved her very much our holiday will never be the same. When she was little learning to all ask for cookie then she was Nick name was here comes cookie. Nannie and Papa are very sad. Praying for both of you, J.R. & Linda. We love ❤️ y’all. May God comfort all involved in this senseless tragedy…RIP Melanie. Gary, please pass on our thoughts and prayers to your friend and employee, JR and Linda. What a tragic loss…how sad we can’t be safe in our places of worship. God must be very sad too. Praying for comfort and peace for Melanie’s family and friends. Y’all are in my thoughts and prayers all the way from Lawrenceburg,TN. I never met Melanie, never knew she existed until this past Sunday and the horrible events that took place which ended a life far to soon. But even though I never met her, she is my sister in Christ and so today I mourn with the family and the church family. Bible teaches us to always be ready for we know not if tomorrow will come. I think Melanie was ready. God bless you all and may He spread His arms open wide and cover you all with His amazing grace. May you all keep the faith and continue on and may you turn to His word which comforts us and sustains us through all of life’s trails whatever they may be. You will be missed. We had such a good time working together as PASI. I enjoyed all the conversations about what you were cooking for dinner. You will be missed. I pray for your family and friends. See you soon friend! Although I did not personally know Melanie, she was my sister in Christ. My heart breaks that her life was taken so suddenly and senselessly. My prayer is that God will bring comfort, peace, and healing to her family. God Bless All of You. Cordova Church of Christ in Rancho Cordova, CA is praying for everyone touched by this awfulness. We are sorry for the loss of this Sister in Christ and the senseless way she was taken. Our heartfelt thoughts and prayers are with all the family and friends of this precious soul! So very sorry for this senseless act to take this child/woman of God! Just wanted to let you know We’re thinking of you all in Morganton NC. I am saddened by the news of Melanie Crow’s passing. We worked together at nThrive and she was always nice. Her passing has been felt throughout or office, and we send our condolences to the family, and friends of this wonderful soul. I am praying for you in this time of mourning. You all are family and I am broken but proud of your dear, clear and gracious response to this turn of events. You represent the Church of Christ and His extended family very well. In the rough waters ahead, allow us–your brothers and sisters all around the world–to be there for you. Please! My heart breaks over the sudden loss of Melanie. My thoughts, prayers and love goes out to the family. Please take comfort in wonderful memories and knowing that she is with God and you will see her again one day. Our prayers for comfort and healing are with you and all those who knew. To all our Brothers and Sisters Christ we are so very saddened this happened we are praying for you all -i———— <3 In Him. I am so sorry for the loss…but rejoice in Rev.14:13 “Blessed are the dead who die IN the Lord”. Though I live in SC. we are brethren. RIP my dear sister…….God bless the family. sister in Christ from Plant city . Mandy birthday and slumber parties as a young girl come to mind when I think of Melanie. We attended elementary and high school together. The good times we had as children will not be forgotten. Melanie was always kind and a good time, lots of laughs. I’m thankful for having gotten the chance to be touched by her life. I’m thankful to know that she knew the Lord, intimately, and I hope I join her one day in heaven. Melanie and I had messaged a few times and kept up with one another on social media. Without ever having met her children, it was evident how much she loved them, and she was an amazing mother. To her children, mother, father, sister and all of those who loved Melanie, I pray that you feel the peace and comfort that can only come from above. I pray that God will pour an extra measure of strength on you in the days ahead. My prayers will continue for you not only now, but in the future. God bless your family. My heart aches for these children and the entire family.Their young lives have been forever changed at the hands of an evil person.My prayers are with your family now and always as nothing can change this brutal attack.Prayers for entire church and especially all the victims who got shot.Pray you recover and can find peace to move on.I am sick with sadness this has happened in any church .Gods Blessings with all in congregation .A Sister from Church of Christ in Menifee, Ca. I do not personally know this dear sister, but I do know her death will have a major impact on so many people. She sounds like a remarkable lady. May God bless you all and give you strength for today and hope for tomorrow. Thoughts and prayers are being sent for family and friends. I did not know Melanie, but my heart is broken over this. Prayers for family and friends. May beautiful memories bring you peace during this difficult time. My heart goes out to the family and church, at your painful loss. Praying that God will continue to comfort your heart with a garment of praise for your heaviness and joy for your sorrows. My deepest condolences to James and the rest of the family. May God bring you comfort during this difficult time. From another sister in Christ in Mississippi. .prayers to the families and especially her children. This world is not my home. .I’m just a passing through. .my treasures are laid up somewhere beyond the blue. .I can’t be at home on this world anymore. As a members of the Church of Christ, Melanie was our sister. I am so sorry that this tragic and senseless act took her. But, we have the assurance that she’s in heaven and that she will be reunited with her family one day. May God bless you, her children, parents, extended family, and friends, as well as her brothers and sisters at Burnette Chapel Church of Christ. Please know that our hearts and prayers are with you all as you say goodbye to this special person. Your brothers and sisters from Vaughn Hill Church of Christ in East Alton, IL send our love and prayers as you go through the next couple days preparing for Melanie’s funeral. The days, weeks, months, and years to follow will be forever changed. We may not know Melanie and family personally, but we do know that we all worship the same God and believe and trust in His word. It is obvious that Melanie has left a huge impact on all who knew her. May God be with you all until you meet again. Breanna my heart just breaks for your loss. I can still remember the first time I met your mom and we talked about our daughters. We talked about getting them together. Little did we know you and Alexus already knew each other and were besties. Iam praying Gods comfort over all of you. Iam sure you already know but she loved you so very much. Words of comfort do not seem adequate but please know so many feel your loss and are offering prayers asking to provide your family with what they need to bear the sadness. There is a special chapter in our lives that Melanie was written into. She was a sweet friend to Christine and that lit my heart. My minds eye will ALWAYS remember her unique way of wrinkling her nose and squinting her eyes when she laughed hard. She left behind 2 beautiful children that will carry on her legacy by being kind and gracious as they are. With much love and heartfelt sympathy. May you all find strength in knowing that she was loved . We are so deeply saddened by this tragic event and the loss of our sister in Christ. Please know our prayer’s are with you all. We all have the gift of eternal life and know we will spend eternity together with our sister. Our prayer’s and love go with you all. Dearest Bridgett, Ron and Family, Words cannot express mine an Dale’s heartbreak over your tragic loss. We have you constantly in our prayers. Also the prayers of our church members are lifting you up continually. I pray that God will give you comfort at this time and grant you a peace that passes all understanding. So thankful that she was a believer and knew the Lord. God Bless, we love you. Sending love, prayers,and condolences during this incredibly heartbreaking and difficult time. The Summit Church of Christ, Cold Spring, KY brethren were saddened to learn of our sister’s departure from this world. Our prayers are with Melanie’s physical and spiritual family. Sending prayers of comfort for her family and friends. We sat side by side for years at PASI. We were amogst the top collectors and were the fist of three to start the MCR and MCD department. You were the best cook and we went through some of the same things in which we were going to get together to catch up. We didn’t get that chance but I thank God that we were able to get in touch before he took you home. Being around you, I knew you loved the Lord and your beautiful children. You are free now from hurt and pain and God has given you your wings to fly! You are greatly missed! Love you much! So sorry for your loss. Will pray for comfort, peace and healing for the family, friends and her church. My PRAYERS are with YOU ALL!!!!!!! I am so very sorry for Ms Crow’s family and Church of Christ family. It breaks my heart that they are all going through this. Y’all are in my prayers!!! Condolence to the family and her Church family. Shelia, it’s been years since we’ve been together. College, marriage, children tend to separate friends when they grow up. Please accept my heartfelt sympathy in the loss of your daughter. I never had the pleasure of meeting her, but as a Mother and grandmother I can share your pain. May God comfort you and be with you through this loss. As a former member of Burnette Chapel Church Of Christ, I would like to take this moment to extend my deepest sympathy. May the comfort and love of our God be strength to help you during this difficult. I have been listening to Ray Walker’s congregational, Church Of Christ music and may the hymn, ” Anywhere Is Home”, have some peace during this time of this trajic loss. Again, my deepest sympathy and you are in my thoughts and prayers. A life too short….May God welcome you to his peace and love forever. Thoughts, sympathy and prayers are with Melanie’s children, family, friends and church family. I am very sorry. I will pray for Melanie ‘s loved ones, especially her children and all those,who are victims of this tragedy. Phil. 4:6-9. We all need to look to Jesus Christ in love, trust, and obedience, Hebrews 5:8-9. He will never forsake us, and He will cleanse us in His blood, Revelation 1:5; Hebrews 9:14. “To God only wise, be glory through Jesus Christ for ever. Amen. “(Romans 16:27)! And the Sovereign Lord Jehovah will wipe away the tears from all faces. Although we did not work together long- Melanie touched all of us with her smile and thoughtfulness. This is a tragic loss to so many. Godspeed to all of her family and friends. Thanks for sharing your world with me as I related in so many ways!! You showed me strength beyond compare and inspired me to stay strong!! You were truly an angel that crossed my path. Rest In Peace sister. Breanna and RJ. You both were the true loves of her life. She talked about you both so much!! I know you know that your mom is now always with you! To her parents: Be proud of the woman you all raised. She was sweet and strong. She cared about others so much. My condolences to you all. God bless you, comfort you, and keep you now and always. From my family to yours,our hearts go out to you and we will keep you in our prayers. Just know that Melanie will be forever with in your heart and soul.Keep God first and he will take care of you and he will never forsake you. It was truly a great joy to work with Melanie each and everyday and I am glad that I was blessed to have met her. My husband & I were visiting Nashville last week and attending another congregation when this tragic event took place. We live in Costa Rica and you can be sure that your brothers and sisters in Christ far, far away are holding you in prayer. Press PRINT and save these wonderful messages so you can always remember the love flowing to you. Our hearts are broken, too. I didn’t know Melanie at all. But, I am just so saddened by her passing…I read a lot of the comments and I can tell she was very much loved and respected…I guess the Lord had a plan for her to be with him…..I pray you find peace…..I want to send my sincere condolences to the whole family…..May God bless you all. Our sincere sympathy to the family, both the earthly physical family and the spiritual church family. Your whole family is in our thoughts and prayers at this most difficult time. Our family has been so upset hearing of the tragedy that occurred at your congregation. Our thoughts and prayers are with you and your family! What a comfort to know you will see Melanie again one day in heaven. May you be comforted by the Lord, you family and friends. Her memories will forever be in your hearts. So very sorry for your families loss. We are praying for our Forever Family that attend the Burnette Chapel church of Christ. We attend the Albemarle Church Of Christ. It saddened our congregation to learn of the tragedy that struck your church family. Our hearts hurt with and for each one. We attend the Gridertown church of Christ in Opp, Alabama, and never met Melanie, but she a sister in Christ. Our prayers and condolences to your family. I would like to express my sincere condolences to the family and friends. During such grievous times as these, words seem to be of little comfort. Our Heavenly Father Jehovah, who created us, has the ability and desire to undo the effects of death. At Hosea 13:14, He promises to empty the graves of our loved ones. Our tears of pain will turn to tears of joy! My hope is that God will comfort you and bring you peace until His promise is realized. With heartfelt sympathy.